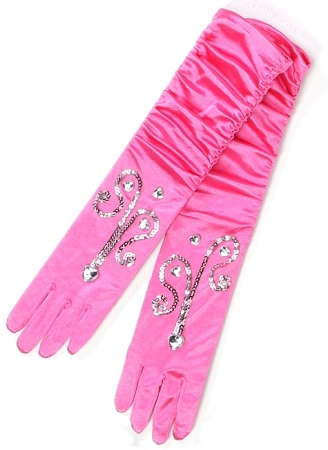 These princess sequins gloves(one size) are very deluxe- each sequin is stitched down, as are the clear heart gems. The gloves are rouched for an extra princess effect. They can be matched with any princess outfit.